What You'll Need: scriptures, GAK/GAB pictures of correct choices like prayer, scripture study, baptism, etc. 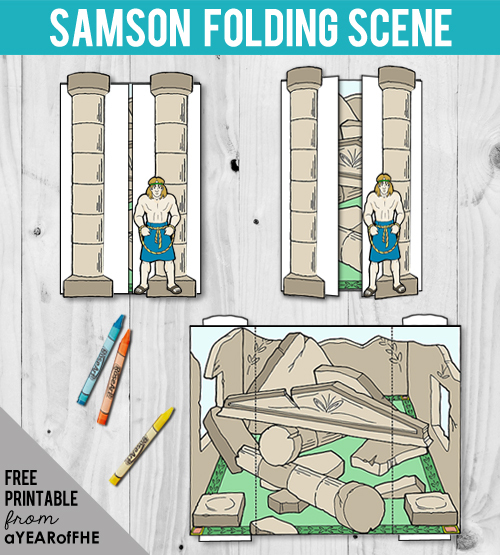 (or strips of paper to create word strips), scissors, at least two empty soda cans, Samson folding scene, Samson coloring page, coloring tools, gluestick. Attention Activity - Have family members pull sticks (a game Joseph Smith enjoyed). To pull sticks, have two kids sit on the floor facing each other, legs extended, knees bent, and the soles of their feet touching. Have each child grasp the same large stick (or broom handle) and try to pull the other up until one is standing on his feet. - How do muscles help us? When we exercise our muscles they become strong and we are able to do more. When we do not use them our muscles become smaller and more weak. Exercise helps us develop strong muscles. Our spirits also need to grow stronger. We need to develop spiritual strength just as we need to develop physical strength. There is a story in the Bible about a man with great physical strength and how he used it. His name was Samson. 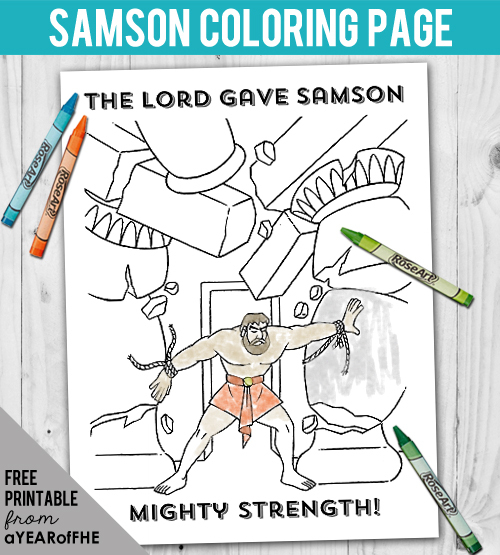 Samson was called by the Lord to help free the Israelites from the Philistines. Samson’s mission would require physical strength. The Lord made a covenant with Samson that as long as he obeyed the Lord, he would be physically strong. Samson’s long hair was a sign of this covenant. Samson was so strong he killed a lion with just his hands and he killed many wicked Philistines. 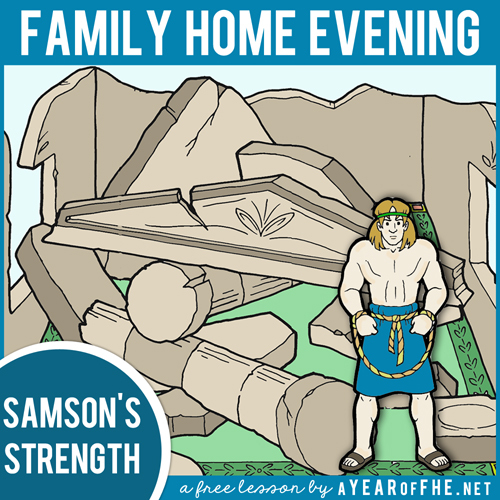 The Philistines wanted to know how Samson had such amazing strength. Samson really liked a girl named Delilah. One day a Philistine came to Delilah and told her that if she would find out what made Samson so strong he would give her lots of money. Samson would not tell her, but she bugged him every single day until he couldn't stand it anymore. Finally he told her that the Lord promised him he would have great strength as long as he didn't cut his hair. That night Delilah waited until Samson was asleep and cut his hair off. His strength was gone. Once Samson's hair was cut and he lost his physical strength he was captured by the Philistines and put in prison. - What did the Philistines offer Delilah if she would help them capture Samson? - Why do you think people are sometimes tempted to do wrong for money? How can we avoid being tempted by riches? Samson’s strength was not actually in his hair. His hair was a sign of his promise with the Lord. When Samson broke his covenant by sinning, the Lord took away his physical strength. - Which kind of strength do you think is more important, physical or spiritual? Why? In prison, Samson repented and slowly his hair grew back. Sometimes the Philistines would bring him out of the prison to make fun of Samson. He asked if they would let him lean on a pillar of the temple because he was tired. Samson prayed and asked the Lord, "And Samson called unto the Lord, and said, O Lord God, remember me, I pray thee, and strengthen me, I pray thee..." (Judges 16:28). The Lord strengthened Samson and he pushed against the pillars of the temple and it came crashing down, killing the wicked Philistines and Samson. It is good to be strong physically, but it is much more important to be strong spiritually. Some people are unable to develop physical strength, but anyone who tries can develop spiritual strength by keeping covenants and obeying commandments. When people become spiritually weak they might give in to temptations, sin, lose the guidance of the Holy Ghost, and they might lose the ability to fulfill their callings and bless others. We can develop the spiritual strength we need to live the way Heavenly Father and Jesus Christ want us to live by attending church, reading the scriptures, choosing the right and praying.If we do those things the Lord will make us spiritually strong. When we are spiritually strong we can do anything the Lord asks of us and we will be happy. Bear your testimony about gaining spiritual power and how it helps you during times of temptation. Tell of a time when keeping your covenants made you spiritually strong. Show your children an empty pop can, place it on the floor, and put your foot on it and balance your weight over it while holding onto the back of a chair. Let your children step on it and try to balance their weight on it also. Comment on how strong the can is. Thanks for all the work that you do for these. This was exactly what I waS LOOKING FOR TODAY. Thank you for this lesson, I love how simple it explains some of the points of the lesson and gives a fun objective lesson with cans! Thank you for providing this lesson!! You are awesome! Thanks for another awesome fhe. Thanks for all your hard work! I'm so excited to use many of your great FHE plans with my family. Thanks for all your awesomeness!!!!! I seriously love your blog. It's great! i'm so excited to use this tonight! thank you so much! Week two of trying your lessons. The structure is great and the takeaways solid. Thank you! Thanks for all of your hard work I am so glad I found your blog. We are excited to use it weekly! Isaac taught this lesson to our family tonight and it was awesome! 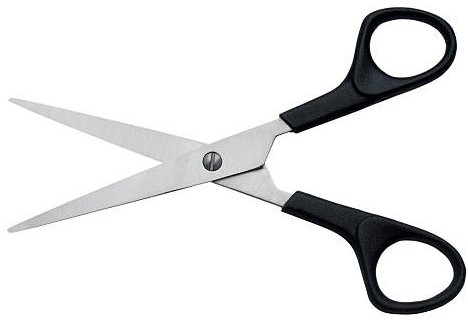 He wanted to cut my hair as a visual aid but I said no. Thank you! I have kids that range from 14-5 months old. I think these lessons are good for the whole family, not just little kids. Just found your website and decided to use this lesson for tonight! I love the simple presentation since I have two little ones. Object lesson is great! Thanks for these amazing lessons!!!!!!!!!!!! Thanks! This is perfect and it's wonderful I don't have to spend the time putting something together :) Soooo glad you were inspired to! Thank you so much for all your lessons! I appreciate all of the thought and time you put into making and sharing these lessons with strangers! Thank you for these amazing lessons. Thank you for a beautiful lesson! I love your idea of the can, what a great visual to help the kids remember the importance of doing good for God and pleasing Him, and the effects of mistakes. I think we are going to be drinking some cans of yoohoo soon! May God bless you and continue to give you His grace. You are fabulous! Thank you!